A medical medium on hair loss – now this is interesting. For those who are not familiar with Anthony William, also known as the Medical Medium, we will teach you by briefly talking about his background and then getting to the most important part – his advice on how to stop hair loss and get your hair to grow back. Spoiler Alert: If you are more of a natural remedy person and interested in holistic healing and treatments for hair loss, you will find this article amazingly useful! Who is Anthony William, Medical Medium? To be honest, we weren’t really familiar with him either until recently. We stumbled upon a book called “Medical Medium – Life Changing Foods” while browsing health-related topics on Amazon. With it being a #1 best seller and having 1,000+ positive reviews (plus the intriguing title never hurts), we had to check it out and see if the book also covers any useful information on how to stop hair thinning and hair loss. The book is written by Anthony William. To make his story short, the author starts the book mentioning that he was born with the unique ability to provide accurate health information by conversing with spirits (think of the Long Island Medium, but purely focused on providing people accurate health advice that helps cure or relieve certain symptoms). Sound too farfetched? 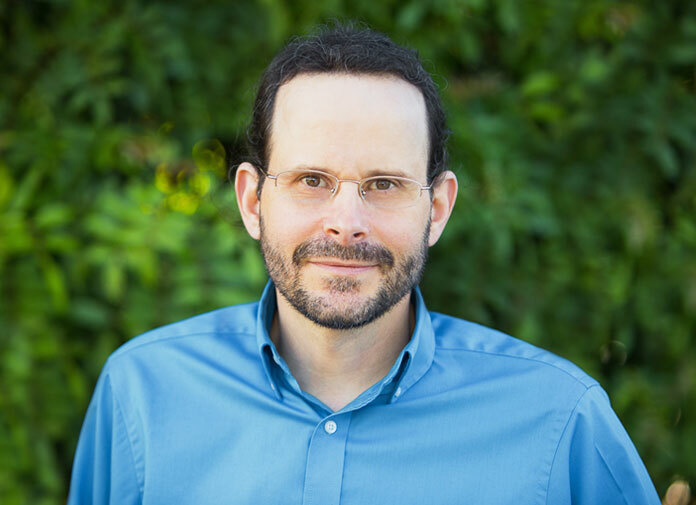 There are numerous testimonials about Anthony William on the accuracy of finding people’s specific health issues and helping them cure the symptoms with certain types of foods they desperately needed in their bodies for healing. Many of these testimonials also come from celebrities such as Gwyneth Paltrow and Naomi Campbell, best-selling authors, nutritionists, and countless others. You can read his fascinating short intro and people’s reviews here. What we personally like about Anthony William is the ton of valuable information he freely gives out on his site. He even has a radio show purely focused on sharing how to heal certain symptoms (autoimmune disease, thyroid issues, etc) through consuming certain types of foods. One of his radio episodes we came across was dedicated to “Skin, Hair & Nail Health”, which this article will be focused on. Before we get to the detail, let’s just say that we found this episode very interesting and filled with useful information on possible hair loss cures for all types… from male or female pattern baldness treatments such as thinning hair and continuous hair fall-out, to Alopecia including patchy bald spots and even complete hair loss. In this article, we will cover almost everything he talks about in the episode, but the main focus will be his advice on hair loss prevention as well as natural hair regrowth. What is behind the health of your skin, hair & nails? The first section of the episode starts with skin. He mentions that when it comes to skin, it’s a lot deeper than just taking care of your outer skin using moisturizers or lotions. Various skin issues including blemishes, premature skin aging, and others are directly related to liver being toxic. He first talks about the role of the liver. Your liver is receiving tremendous amount of blood including oxygen, nutrients as well as tons of poisons. Then, it has to go through the cleaning process and send back the blood to your entire body which includes getting to the epidermis (the top layer of skin which also includes scalp) to nourish the skin. In other words, liver plays a crucial part in nourishing the skin. This also means that if the material the liver is sending out in the blood is not good, you are prone to get age spots, wrinkles, and all types of skin issues. This also applies to hair -Poor liver function will lead to hair loss eventually. (Skin) What foods should I eat for healthy skin? Since healthy liver equals healthy skin, hair, and nails, he talks about a list of foods that are great and not so great for the liver, which in turn will directly affect them. EAT THIS: The first food he talks about is cucumbers (he recommends drinking a cucumber juice once a day). He also suggests cutting your animal proteins in HALF. If you are eating meat, have only once a day with leanest and cleanest, especially those who are on a paleo diet. Free range, farm raised chicken or turkey are even better. He continues it can get even better by providing your skin something critical it really needs than just the clean blood from the liver. He says our skin needs betacarotene, which you won’t find in high fat or high animal protein diets. You find betacarotene from leafy greens (especially spinach) and vegetables and fruits with vibrant color including mangoes, papayas, sweet potato, raspberries, and melons with color. He emphasizes that spinach is an ultimate betacarotene provider to cleanse poison and toxin for the liver. He says that the liver tags that carotene and alters the chemical compounds, which make it capable of surviving the travel up to the skin. NOTE FOR SKIN: He emphasized at least several times about these 3 foods incredible for the skin – Mangoes, Papayas, and Spinach. So if you can’t follow everything he suggests, at least, try to incorporate good amounts of these 3 foods on your daily meals. He also talks about silica, which is crucial for skin, hair, and nails. There is silica hidden in vegetables and stems of vegetables that matter just for the skin. He adds that it’s not the silica found in bones (in fact there are 2 different kinds of silica science is unaware of – silica for the bone is different from silica for the skin). Silica for skin is found in asparagus, artichokes (also incredible for the liver), stems from kale, horsetail, and nettle leaf. 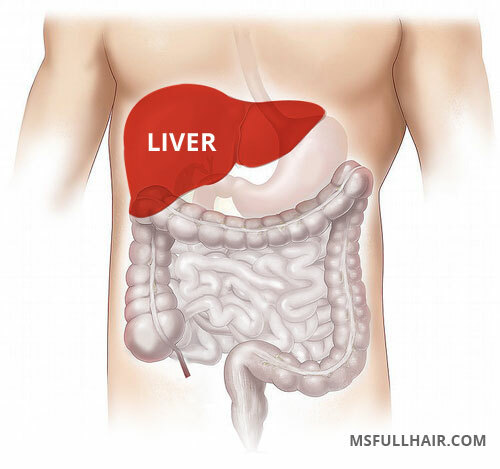 The liver delivers the silica to hair, skin, nails. He then talks about a big misconception in today’s world, “You need protein, protein, and protein for hair and skin”. Proteins are important when they come from plant-based foods such as kale, spinach, lentils, black beans, walnuts (also plenty of proteins are found in barley, fruits, sweet potatoes and vegetables). BUT these are not still where your skin, hair and nails are derived from. He says there are thousands of different compounds and chemical functions as well as minerals and vitamins responsible for hair, skin, nails and the liver is master behind all this (In other words, incorporate the liver strengthening and cleansing foods for hair regrowth as well as some of the most powerful hair growth stimulating herbs we are about to mention below). He says don’t go crazy with ALL protein diets. More protein you consume, the more tired your liver becomes. Going excessive with protein-based diets will negatively affect the life of liver and affect your hair skin nail eventually. To sum it up, make your liver happy by limiting the amount fat and protein and it will consistently deliver good stuff to the rest of your body. Moderation is the key. What actually causes hair loss (according to Medical Medium on hair loss)? What are reasons for hair loss in women and men? Medical Medium says adrenaline kills hair, skin and nails. Strong negative emotions (such as betrayal) bottled inside the body and stress are one of the main causes of hair loss simply because they increase the level of adrenaline. It affects the proper function of the liver, causing your hair to fall out. In other words, he says your hair stays good when your adrenaline stays good. What about Alopecia? What causes Alopecia such as Alopecia Areata or Totalis? This information was perhaps the most interesting part of the episode for Medical Medium on hair loss. What actually triggers alopecia (such as alopecia areata, alopecia totalis) is NOT an autoimmune disease where the body is attacking hair follicles, thus causing your hair to fall out. He claims that this is false information and that Alopecia is an adrenal issue. He goes on to say that adrenaline is made of a complicated group of hormones that scientists are not yet aware of. If a person has alopecia, he/she has a hormone missing from their adrenaline. In other words, one of the undocumented hormones coming from adrenaline undiscovered by scientists is missing for people with alopecia. During the episode, he mentions about Ashwagandha several times, which he says is very powerful in helping your hair to grow back. If you are looking for THE best product for hair regrowth naturally, try this. 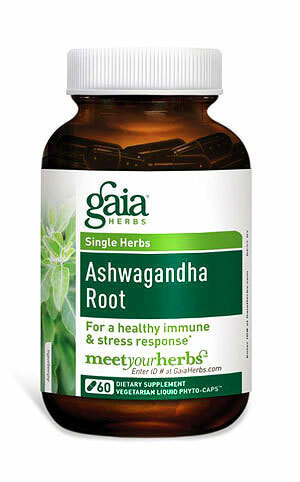 In case you are not familiar with Ashwagandha, it is also known as Indian ginseng, a popular herb in Ayurvedic medicinal practices for treating arthritis, immune system deficiencies, hormone imbalance, anxiety, and many others. He mentions that Ashwagandha is a restorative plant that can cleanse liver and build adrenals which take care of both issues of hair loss (thus encouraging hair regrowth if your hair is thinning or falling out). 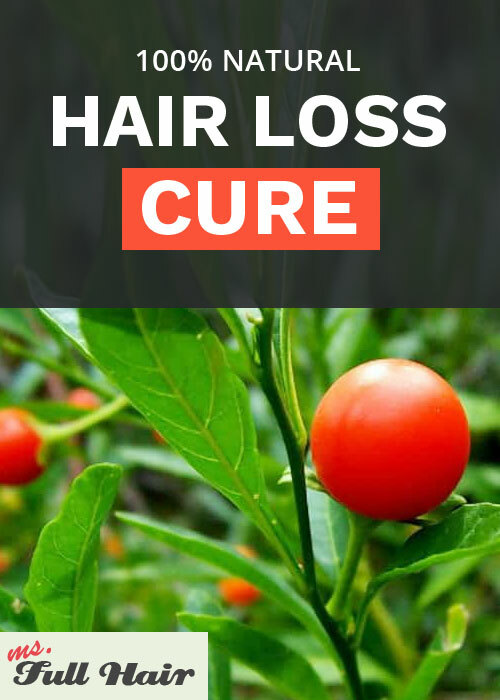 He also says that he saw some people with alopecia lost all of their hair and nothing was helping their hair grow back, until they found Ashwagandha. This powerful herb helped regrow their hair by getting both liver and adrenals in much better shape. He says Nettle leaves are a very powerful natural remedy for hair loss and bring hair back (also by being great for the liver). He recommends drinking nettle leaf tea. Other ways to incorporate nettle leaves he suggests includes droppers of Nettle leaf tincture, nettle capsules (the right kind) to grow hair back. 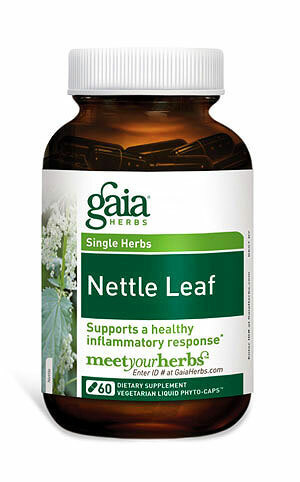 He recommends taking nettle leaves in 3 capsules a day / a drop of nettle leaves daily for regrowing your hair. NOTE: One of the reasons he is not so fond of skin, hair and nail formula vitamins and supplements is how little each capsule includes horsetail, nettle or any of the active ingredients to make your hair grow back. Or more often, they don’t include the best quality kinds in them. 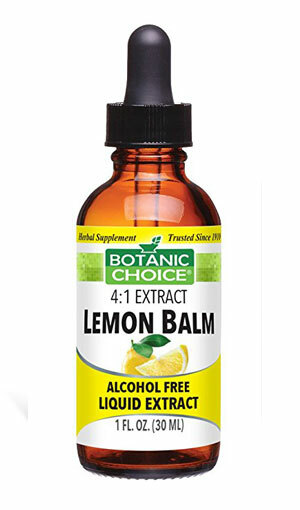 He mentions that lemon balm is also an effective way for stimulating hair regrowth along with nettle leaf. If you are suffering from thinning hair, drinking nettle leaf and lemon balm teas are perhaps the easier way to incorporate Medical Medium’s natural hair loss suggestions into your daily life. If you want to find out more details on each product, read this article which covers Medical Medium’s suggested supplements along with our research for each one. Here he mentions a complete list of herbs and foods for hair regrowth. Figs – are great for hair, skin, nails and female reproductive systems. If you can’t find fresh figs, dry figs are fine as well. Bananas – Great for liver and intestinal tract for flushing for liver. Lastly, he talks about nails. Some of the common nail problems include white spots, ridges, bubbles, and pockets. The biggest reason for such problems? He says it is due to a zinc deficiency, followed again by the liver issue. In order to prevent it, take pumpkin seeds (omega 3s from pumpkin seeds are great for all skin, hair, nails) as well as sesame seeds. The best way to restore your nails is through supplements which includes Zinc, molybdenum, manganese, and selenium. He recommends trying for at least 1 month to see results. He also recommends trying Silica for nails as well as consuming more fruit and vegetables to cleanse the liver through carotene. “PLANT-BASED” Omega 3 oils are good for hair skin and nail, but NOT the Fish oil-based omega 3. He says even though companies claim its mercury free, there is still the level of methyl mercury in them. Medical Medium on hair loss – He wittily says that this is NOT a liver show, but liver is directly related to healthy hair, skin and nails. Keep your liver healthy by incorporating the suggested foods, herbs, and supplements above (last minute, he also adds butter leaf lettuces for omega 3 and celery juice which is also great for liver to his list). Lastly, hydration is an important factor (lemon water for your skin). This episode was PACKED with so much useful information on how to stop hair thinning as well as hair regrowth. Even though he covered numerous things, one thing is very clear: a bad liver or adrenaline (or a combination of both) is responsible for hair loss. If you have to take away the TOP 3 foods to start with for your hair loss? Go with what he emphasized the most: Ashawaganda, Nettle leaf, and lemon balm to reverse hair loss.